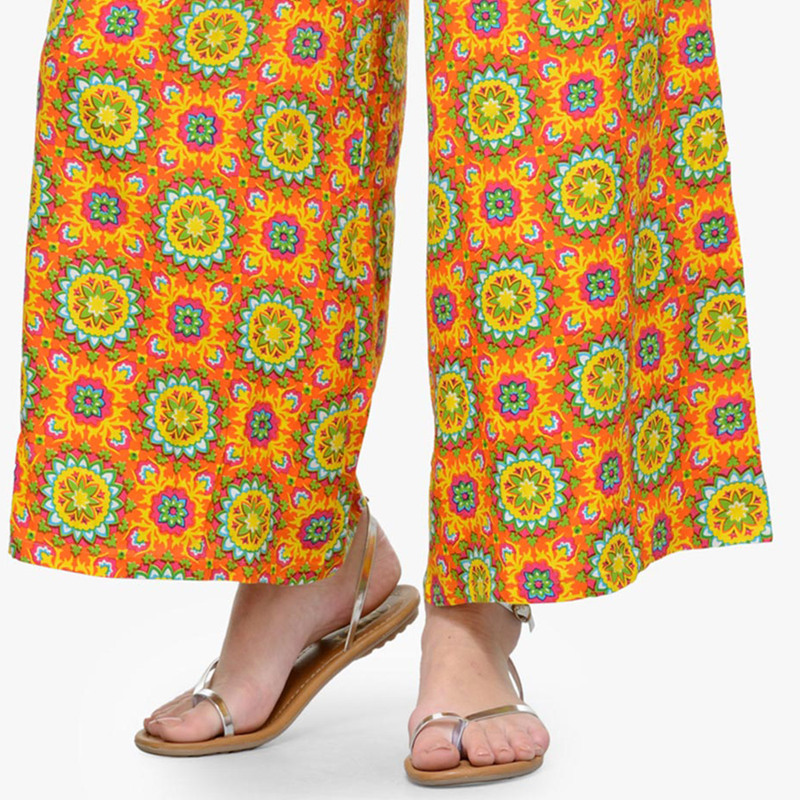 Looking for a way to diversify your attire for the day? 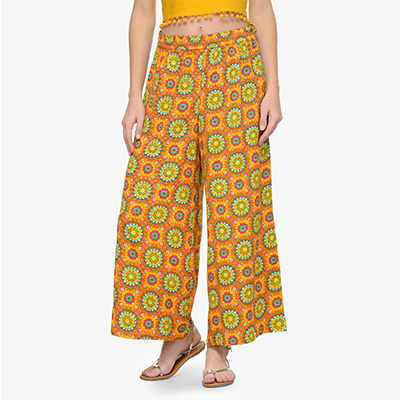 Then go ahead by wearing this orange colored printed palazzo. 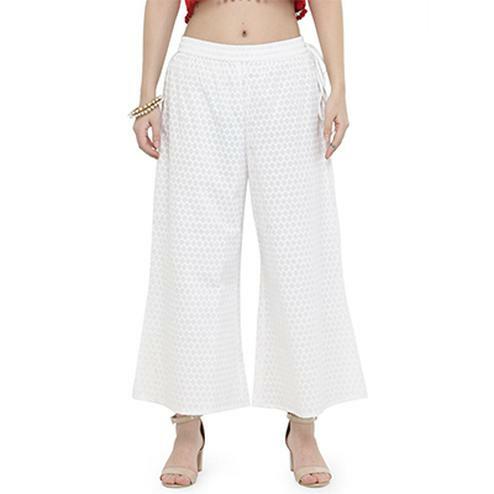 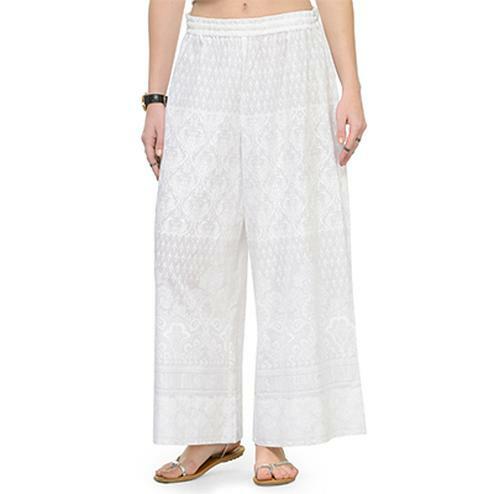 This pair of palazzo has been designed keeping the latest trend in mind. 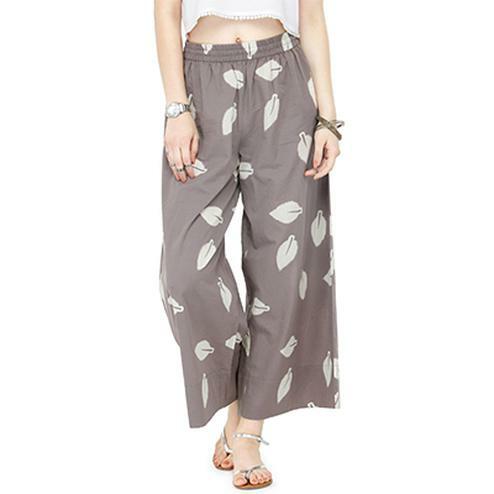 Crafted from cotton which is decorated with allover print that will make you feel comfy all through the day. 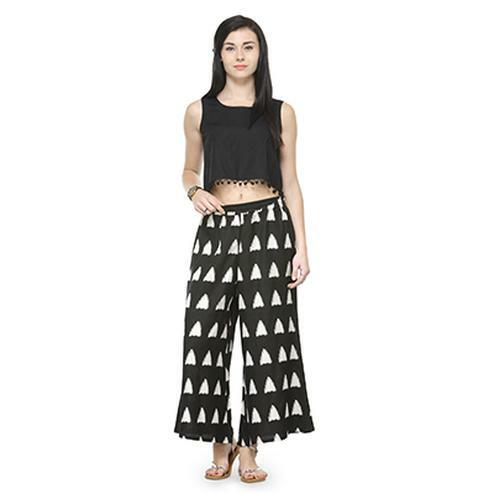 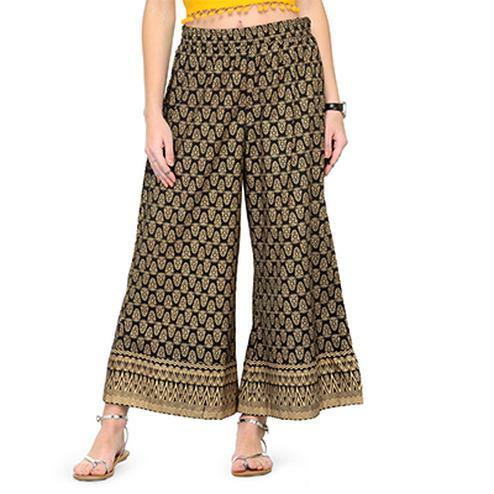 Ideal for a casual day out with friends, weekend get-together, office wear, kitty parties.These regular-fit palazzo are stitched to perfection and will give you a smart look when teamed with contrast top or kurti along with belly, flats or heels for a trendy look, you can also accessorize with a handbag and a pair of danglers.